Narrow hallway? Our designers pass on their top tips to make the most of your space. Hallways are so important - it’s not only the entrance to your home, it’s a chance to make favourable first impression when visitors walk through your front door! But many of our homes feature narrow hallways - often they lack natural light and can feel like a ‘forgotten space’. But hallways like this can be easily transformed! It’s easy when you know how - our designers pass on their trade secrets. 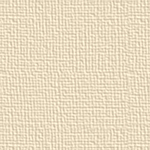 Walls: Keep to light colours when selecting paint or wallcoverings. Practical washable and wipeable options are available. Paint ceilings, coving and skirting boards white, to accentuate the light and airy feel. Lighting: Keep lighting simple. Choose fittings that co-ordinate with your décor - for example, pick up on brass door handles by choosing brass ceiling or wall lights. Wall uplighters bounce light off the ceiling and will make a room appear larger. Floor: The hallway is a main thoroughfare, so choose a floorcovering that’s practical and easy to keep clean, like Amtico. 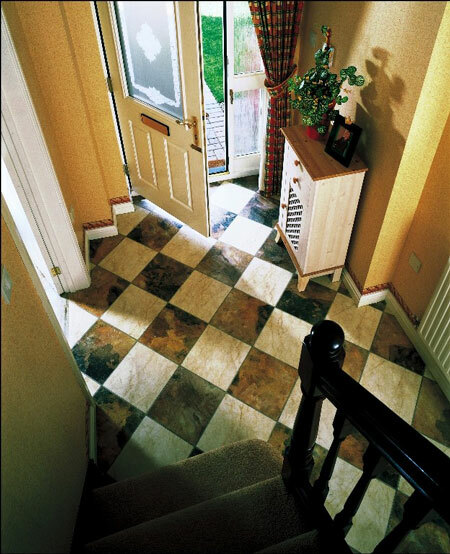 Ensure that floor tiles are laid on the diagonal - this simple trick will help to make a narrow hallway appear wider. If you choose a border, select a narrow design (like Amtico’s Matrix or Inset Square designs) and keep the rest of the floor simple. Accessories: Keep accessories simple, and aim to keep the hall free of clutter. Use a mirror at the end of a hallway to accentuate the space. Click here for more information about Amtico® Vinyl Flooring.